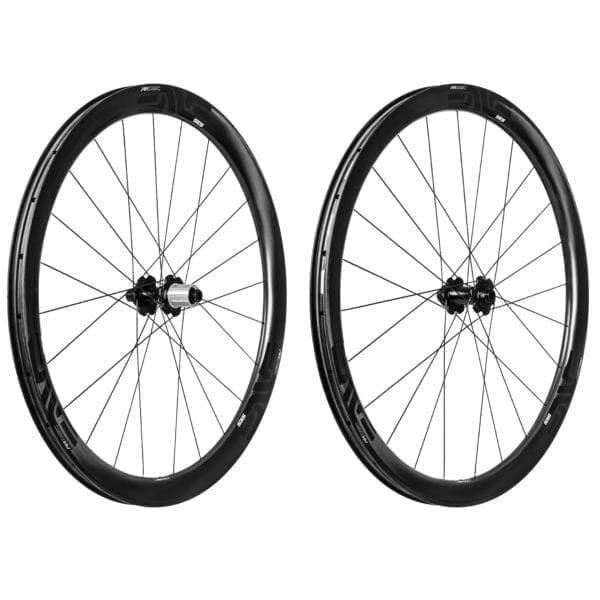 The ENVE 3.4 AR Disc Wheelset has been specifically designed to capitalise aerodynamically on modern mixed surface road and gravel bikes with clearance for larger tyres, while being a far more adept climbing wheel than the deeper 4.5 AR. Light enough for long days in the mountains, with real-world aerodynamic punch and serious comfort. 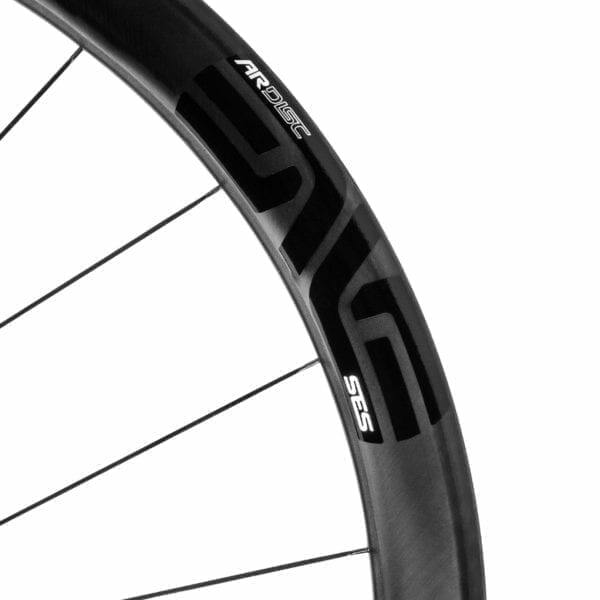 With a depth of 39mm front and 43mm rear, dissimilar rim profiles and being among the widest rims in the SES line-up, these unique wheels mean there is no need to sacrifice aerodynamics for comfort on broken road surfaces. The ENVE 3.4 AR Rims have been optimised aerodynamically for a 28-32c tyre, but with a massive 25mm internal width they permit the use of large gravel tyres at exceptionally low pressures. 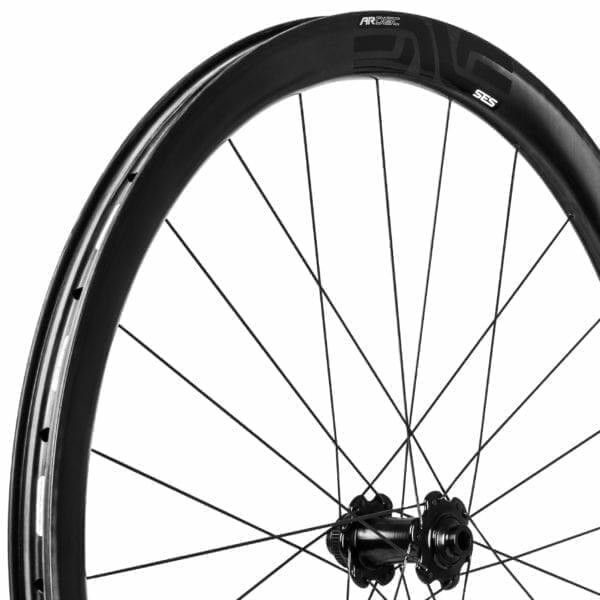 Featuring hookless beads (which aid air flow between rim and tyre) borrowed from the M Series mountain rims, the ENVE 3.4 AR clincher is seriously tough and only suitable for riding with tubeless tyres. This design has been proven to reduce instances of pinch-flats and improve the rims resistance to impact damage. Supplied taped and valved, ready for tubeless running, with the new pressure relief valve stem nut. Riders searching for greater aerodynamic gains on mixed road surfaces should consider the ENVE 4.5 AR Wheelset. 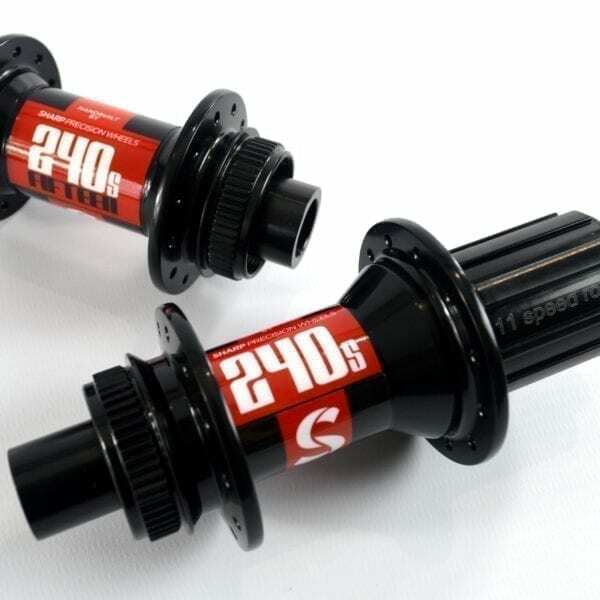 *List price on DT Swiss 240s Centrelock Hubs/Sapim CX-Ray. Please specify your axle dimensions and groupset at checkout. AVAILABLE FOR PRE-ORDER NOW. Use the Contact page to get in touch. ENVE rims are built by hand in Ogden, Utah, USA. At their new state-of-the-art facility ENVE can carry out design, manufacturing, and testing. Every stage of the product life cycle can be controlled with unmatched precision, allowing ENVE engineers to produce the strongest, lightest and most aero rims available in the world. In their own words: “We won’t ever compromise materials, processes, or performance to hit a price point. There’s no lower tier. You’re not buying a brand name or an image, you’re buying engineered excellence. If it says ENVE, it’s because it’s the very best it can be.” I love building with ENVE products because they represent the pinnacle of carbon manufacture. The consistency of carbon layup enables wheels to be built with incredibly even spoke tension, essential for longevity of the wheel. The proprietary moulded spoke holes handle the highest permissible tension without any pulsing or deviation to the rim circumference. Finally, they are wind tunnel tested to be exceptionally stable in crosswinds. This aerodynamic prowess exists in harmony with a unique stiffness-to-weight ratio: enabling a wheel which is not only aerodynamically fast, but rides with exceptional precision and accelerates rapidly. An ENVE wheelset is a significant investment. I firmly believe they are the best carbon wheels in the world, and spend a huge amount of time ensuring your ENVE build meets your performance requirements and is built with the greatest precision. My after-sales support starts as soon as you take delivery, and I am always on hand to help. ENVE road disc rims are optimised for disc braking. 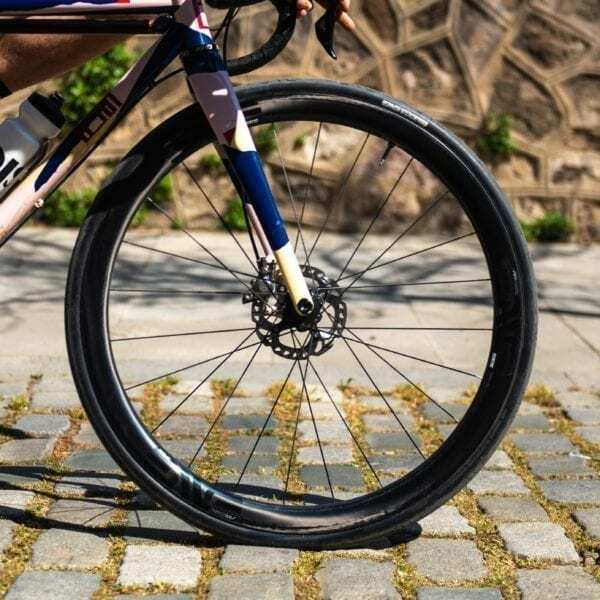 Freed from the constraints of a heat-proof carbon braking surface, ENVE have been able to create a rim that is even lighter, stronger and faster than rim brake versions. Carbon brake tracks dictate a lot of rim design. Removing them and re-engineering the rim layup results in improved lateral stiffness, impact resistance and a weight reduction of 40-60g per rim. This means the disc brake wheelset will feel more responsive in acceleration, steering and braking because the mass has been shifted from the rim (higher rotational inertia) to the hub (lower rotational inertia). If you are riding hard mountain descents, ENVE consider disc braking a far safer option, with greatly improved modulation. Aerodynamically designed to be run with 28-32c tyres, these wheels feature a hookless bead which is incredibly strong, and must be run with a tubeless tyre. ENVE rims feature no paint, lacquer, filler or cosmetic finishing. This is a no compromise approach to performance. To add paint would increase the weight of the rims and have an adverse effect on the ride quality of the wheel. To this end, all ENVE rims are subject to small cosmetic differences which occur when rims are removed from their mould. Each one is hand crafted in the USA and subtly unique. 5 Year No-Hassle Warranty: your investment is backed by an industry leading warranty. If anything goes wrong, ENVE and Sharp Precision Wheels will make sure it is set right. Crash Replacement: accidents happen, especially when racing or training hard. If you have the misfortune to damage your ENVE product in a crash, replacements are available at 50% of the retail cost. Complimentary Year 1 Service: to help keep your investment operating at it’s best. After one year I will arrange to collect your ENVE wheelset at a mutually convenient time, so that it can be returned to the workshop for a full check over and service, including hub service. It will be returned to you, free of charge. ENVE 3 Day Promise: for when you need to go fast, fast. If an ENVE AR wheelset is listed as In Stock on the website, I have a build kit ready to be handbuilt for you with DT 240s Centrelock hubs and custom decals. They will be built to the highest tolerance and delivered to you within 3 working days from payment. Complimentary Birth Certificate: supplied with each wheelset. 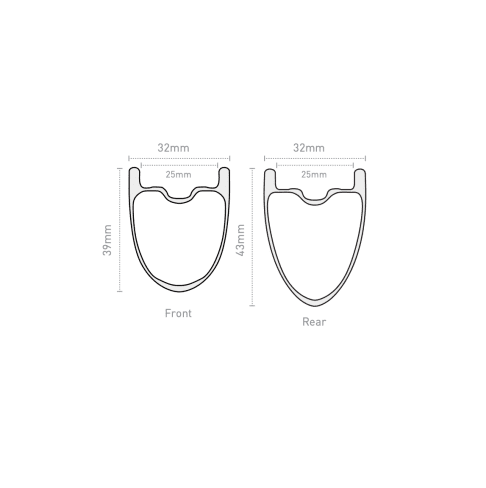 This technical datasheet or birth certificate, unique to your wheels, sets out the exact tolerances and dimensions of the wheelset. It serves as a guarantee of my workmanship, and a vital reference for future servicing and warranty. 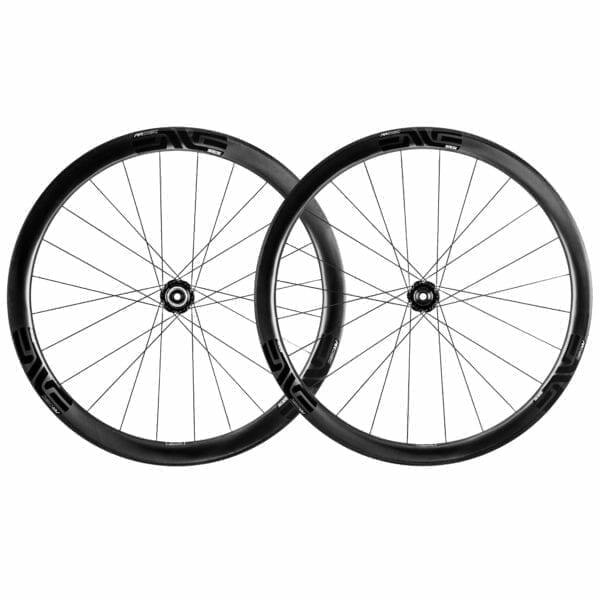 Free Shipping: fully insured delivery is free of charge on all ENVE wheelsets. Just select “Free Shipping” in the shopping cart. ENVE AR wheelsets are supplied with rim tape/tubeless valve kits (including pressure relief valve stem nuts) and DT Swiss hub versions are supplied with axle conversion kits and rotor adapters to ensure your wheels stay compatible, even if you change your bike. Full wheel care instructions are included with a pot of freehub body grease. 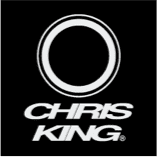 Please contact me directly for quotations and build time estimates using other hubs: Chris King R45 Centrelock, ENVE Alloy, or DT Swiss 350/180 Centrelock are available to tailor the ENVE 3.4 AR rim to your specific riding style or bike. Book a consultation using the Rider Profile Form on the Contact page or call 01403 333 211.